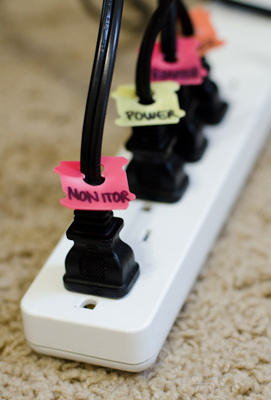 I am sure if you own a surge protector that you have, a time or two or a dozen, tried to unplug something like a pencil sharpener and ended up unplugging your computer. 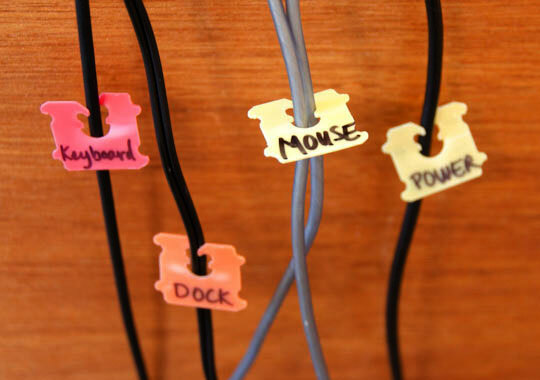 Instead of playing the guessing game, try this fun method from Unplggd of using bread tags to label your cords. Holy smokes. LOVE the bread tag idea! Time to start saving them! Oh wow! That is sooo brilliant! Love the bread tags! That bread tag idea is so SMART! Um, that is too simple for words. Love it! I am so forwarding this to the hubs! He eats stuff like this up! 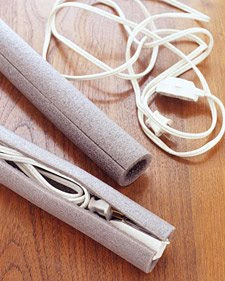 Some of the most genius ideas are the simplest. Love this! Love it! Totally kicking myself for throwing away a bread tag yesterday. Featured this on my facebook page today! 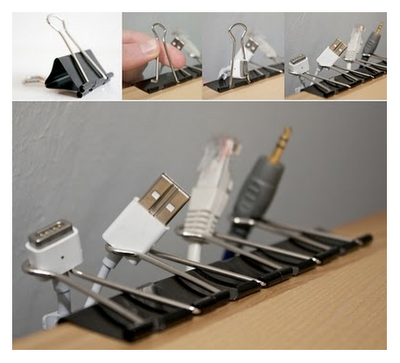 I love the usb/desk organizer idea. I tried it and love it! Thanks so much!